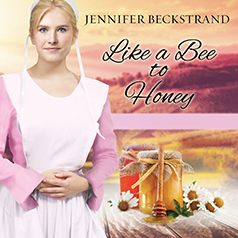 Affectionately dubbed the Honeybee Sisters in their Wisconsin Amish community, the three Christner girls are devoted beekeepers who are coming of age—and discovering the sweet surprise of love. Shy, skittish Rose Christner is more comfortable tending to the beehives on the family farm and keeping her aunt's unruly cats in line than attending social gatherings with the rest of the die youngie. A childhood trauma and secret shame keep her heart under lock and key, and Rose just cannot accept the sweet attention she's receiving from a handsome neighbor. But the more she shies away from Josiah Yoder, the more their families sneakily plot to bring them together. When a vandal who's been plaguing the Honeybee Farm starts targeting Rose, Josiah's steadfast protection—and patience—just may lead her into his waiting arms.